Match ends, PEC Zwolle 1, Ajax 3. Second Half ends, PEC Zwolle 1, Ajax 3. Attempt blocked. Mustafa Saymak (PEC Zwolle) right footed shot from outside the box is blocked. Assisted by Stef Nijland. Davy Klaassen (Ajax) wins a free kick on the right wing. Foul by Ted van de Pavert (PEC Zwolle). Offside, Ajax. Donny van de Beek tries a through ball, but Anwar El Ghazi is caught offside. Attempt missed. Stef Nijland (PEC Zwolle) right footed shot from outside the box is high and wide to the right. Assisted by Hachim Mastour. Hachim Mastour (PEC Zwolle) wins a free kick in the defensive half. Attempt missed. Stef Nijland (PEC Zwolle) right footed shot from outside the box is close, but misses to the left. Assisted by Queensy Menig. Offside, PEC Zwolle. Stef Nijland tries a through ball, but Nicolai Brock-Madsen is caught offside. Attempt saved. Stef Nijland (PEC Zwolle) right footed shot from outside the box is saved in the centre of the goal. Substitution, Ajax. Donny van de Beek replaces Lasse Schöne. Attempt missed. 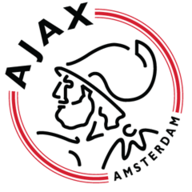 Anwar El Ghazi (Ajax) right footed shot from the right side of the six yard box is close, but misses to the right. Assisted by Joël Veltman. Substitution, PEC Zwolle. Stef Nijland replaces Wouter Marinus. Attempt missed. Mustafa Saymak (PEC Zwolle) right footed shot from outside the box is too high. Assisted by Queensy Menig. Goal! PEC Zwolle 1, Ajax 3. Hakim Ziyech (Ajax) left footed shot from a difficult angle on the left to the centre of the goal. Assisted by Daley Sinkgraven following a fast break. Wouter Marinus (PEC Zwolle) wins a free kick in the attacking half. Attempt missed. Hakim Ziyech (Ajax) left footed shot from outside the box is high and wide to the right. Assisted by Joël Veltman. Offside, PEC Zwolle. Ryan Thomas tries a through ball, but Nicolai Brock-Madsen is caught offside. Attempt saved. Nicolai Brock-Madsen (PEC Zwolle) right footed shot from the centre of the box is saved in the centre of the goal. Assisted by Dirk Marcellis with a cross. Attempt saved. Anwar El Ghazi (Ajax) left footed shot from outside the box is saved in the bottom right corner. Assisted by Davy Klaassen. Attempt blocked. Kasper Dolberg (Ajax) right footed shot from outside the box is blocked. Assisted by Nick Viergever. Justin Kluivert (Ajax) wins a free kick in the defensive half. Foul by Dirk Marcellis (PEC Zwolle). Goal! 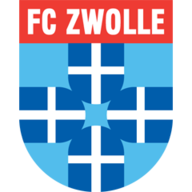 PEC Zwolle 1, Ajax 2. Nicolai Brock-Madsen (PEC Zwolle) header from the centre of the box to the top left corner. Assisted by Queensy Menig with a cross. Attempt saved. Philippe Sandler (PEC Zwolle) right footed shot from more than 35 yards is saved in the centre of the goal. Assisted by Mustafa Saymak. Substitution, PEC Zwolle. Ryan Thomas replaces Josef Kvída. Offside, PEC Zwolle. Philippe Sandler tries a through ball, but Queensy Menig is caught offside. Attempt missed. Queensy Menig (PEC Zwolle) right footed shot from the right side of the box is too high. Assisted by Nicolai Brock-Madsen. Foul by Justin Kluivert (Ajax). Attempt saved. Nicolai Brock-Madsen (PEC Zwolle) header from the centre of the box is saved in the centre of the goal. Assisted by Wouter Marinus. Daley Sinkgraven (Ajax) is shown the yellow card for a bad foul. Queensy Menig (PEC Zwolle) wins a free kick on the right wing. André Onana (Ajax) wins a free kick in the defensive half. Philippe Sandler (PEC Zwolle) wins a free kick on the right wing. Substitution, PEC Zwolle. Hachim Mastour replaces Kingsley Ehizibue. Attempt blocked. Kasper Dolberg (Ajax) right footed shot from the centre of the box is blocked. Assisted by Justin Kluivert with a cross. Foul by Davy Klaassen (Ajax). Mustafa Saymak (PEC Zwolle) wins a free kick in the attacking half. Attempt missed. Justin Kluivert (Ajax) right footed shot from long range on the left is close, but misses to the left. Assisted by Hakim Ziyech. Attempt missed. Anwar El Ghazi (Ajax) right footed shot from the right side of the six yard box is close, but misses to the right. Assisted by Hakim Ziyech with a cross following a set piece situation. Foul by Nicolai Brock-Madsen (PEC Zwolle). Corner, Ajax. Conceded by Josef Kvída. Django Warmerdam (PEC Zwolle) wins a free kick on the left wing. Goal! PEC Zwolle 0, Ajax 2. Hakim Ziyech (Ajax) left footed shot from the left side of the box to the bottom right corner. Assisted by Joël Veltman with a through ball. Goal! PEC Zwolle 0, Ajax 1. Lasse Schöne (Ajax) converts the penalty with a right footed shot to the bottom right corner. Philippe Sandler (PEC Zwolle) is shown the yellow card for a bad foul. Penalty Ajax. Anwar El Ghazi draws a foul in the penalty area. Penalty conceded by Philippe Sandler (PEC Zwolle) after a foul in the penalty area. Corner, Ajax. Conceded by Philippe Sandler. Attempt missed. Anwar El Ghazi (Ajax) right footed shot from the right side of the box is high and wide to the left. Assisted by Justin Kluivert. Corner, Ajax. Conceded by Mustafa Saymak. Second Half begins PEC Zwolle 0, Ajax 0. First Half ends, PEC Zwolle 0, Ajax 0. Offside, PEC Zwolle. Ted van de Pavert tries a through ball, but Kingsley Ehizibue is caught offside. Attempt missed. Anwar El Ghazi (Ajax) right footed shot from the right side of the box misses to the right. Assisted by Lasse Schöne. Attempt missed. Queensy Menig (PEC Zwolle) right footed shot from outside the box is high and wide to the right following a set piece situation. Offside, Ajax. Justin Kluivert tries a through ball, but Anwar El Ghazi is caught offside. Mustafa Saymak (PEC Zwolle) wins a free kick in the defensive half. Substitution, Ajax. Justin Kluivert replaces Amin Younes because of an injury. Corner, Ajax. Conceded by Dirk Marcellis. Offside, PEC Zwolle. Wouter Marinus tries a through ball, but Philippe Sandler is caught offside. Mustafa Saymak (PEC Zwolle) wins a free kick on the right wing. Josef Kvída (PEC Zwolle) wins a free kick in the defensive half. Daley Sinkgraven (Ajax) wins a free kick in the defensive half. Foul by Amin Younes (Ajax). Josef Kvída (PEC Zwolle) is shown the yellow card for a bad foul. Joël Veltman (Ajax) wins a free kick in the defensive half. Foul by Josef Kvída (PEC Zwolle). Corner, PEC Zwolle. Conceded by Nick Viergever. Corner, Ajax. Conceded by Mickey van der Hart. Attempt saved. Anwar El Ghazi (Ajax) right footed shot from the right side of the box is saved in the top left corner. Assisted by Hakim Ziyech with a through ball. Offside, PEC Zwolle. Wouter Marinus tries a through ball, but Josef Kvída is caught offside. Queensy Menig (PEC Zwolle) wins a free kick on the left wing. Corner, Ajax. Conceded by Kingsley Ehizibue. Philippe Sandler (PEC Zwolle) wins a free kick in the defensive half. Attempt blocked. Mustafa Saymak (PEC Zwolle) left footed shot from outside the box is blocked. Corner, PEC Zwolle. Conceded by Joël Veltman. Attempt saved. Django Warmerdam (PEC Zwolle) left footed shot from outside the box is saved in the centre of the goal. Assisted by Kingsley Ehizibue. Attempt missed. Hakim Ziyech (Ajax) left footed shot from outside the box is too high. Assisted by Davy Klaassen. Anwar El Ghazi (Ajax) wins a free kick on the right wing. Foul by Philippe Sandler (PEC Zwolle). Foul by Django Warmerdam (PEC Zwolle). Hakim Ziyech (Ajax) wins a free kick on the left wing. Anwar El Ghazi (Ajax) wins a free kick in the defensive half. Foul by Anwar El Ghazi (Ajax). Attempt blocked. Daley Sinkgraven (Ajax) left footed shot from outside the box is blocked. Corner, Ajax. Conceded by Django Warmerdam. Davy Klaassen (Ajax) wins a free kick in the defensive half. Offside, PEC Zwolle. Wouter Marinus tries a through ball, but Queensy Menig is caught offside.